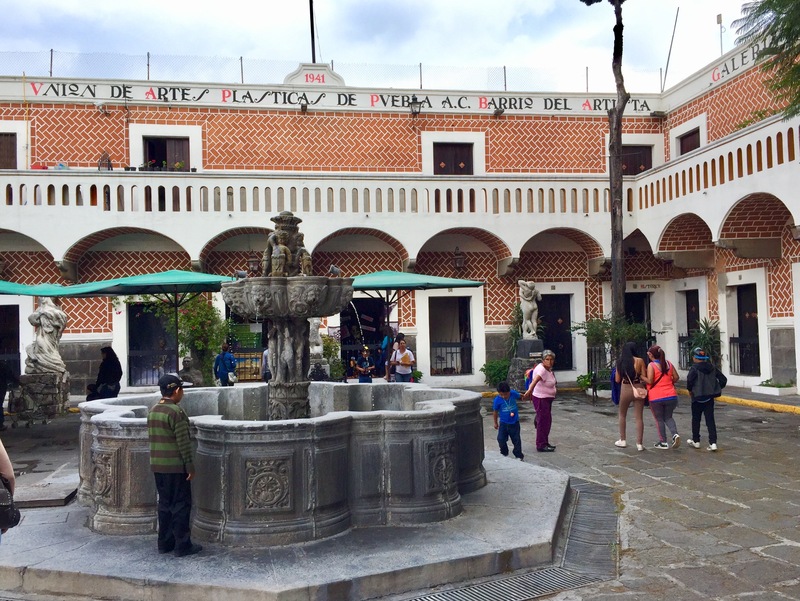 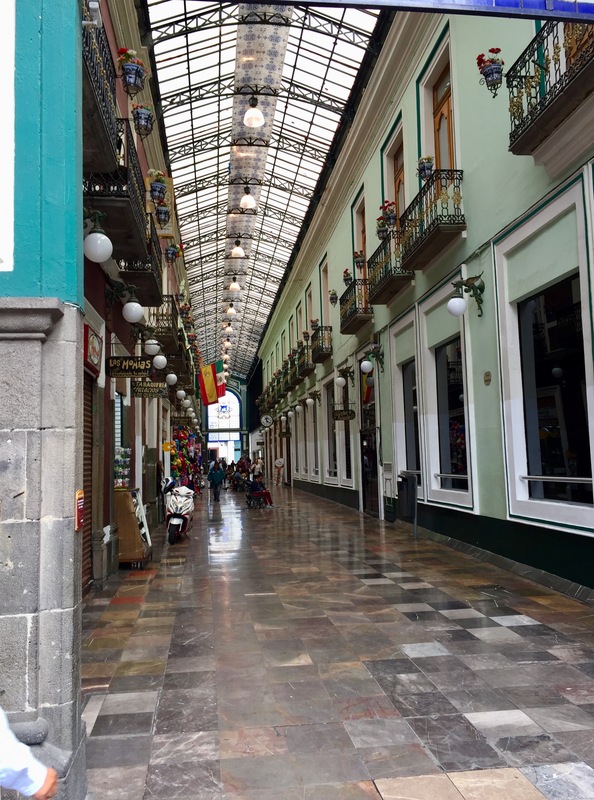 Google Translate tells me that Puebla translates to “Puebla”, but pueblo translates to “village” or “people”. 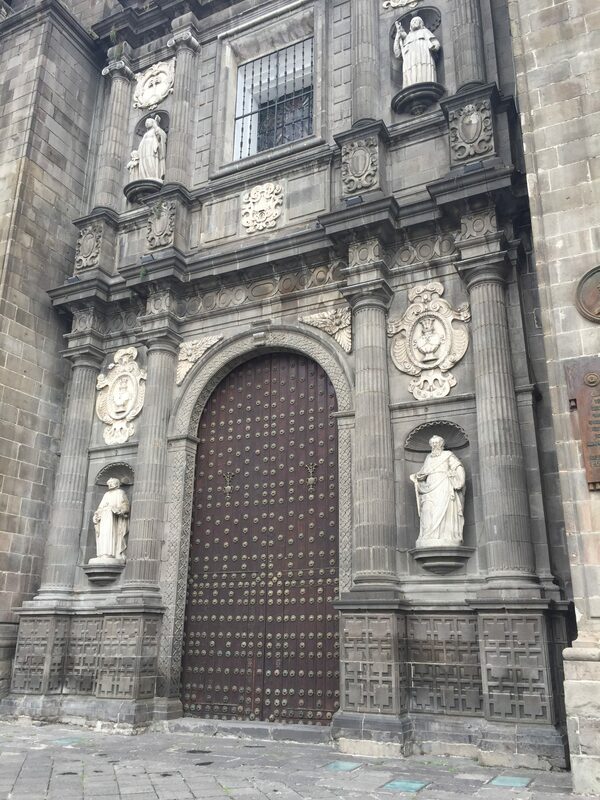 After visiting, I’m surprised it doesn’t translate to “city of churches”. 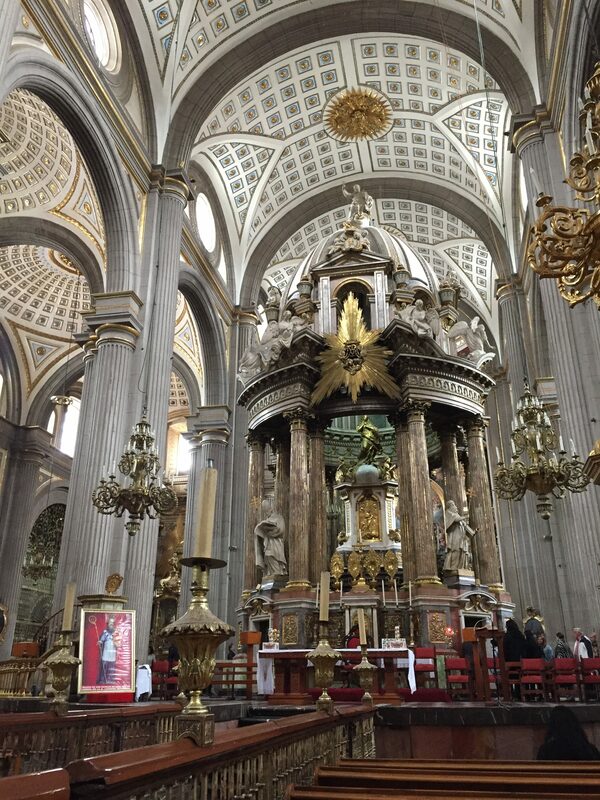 I can’t say I’ve been anywhere where there are so many churches. 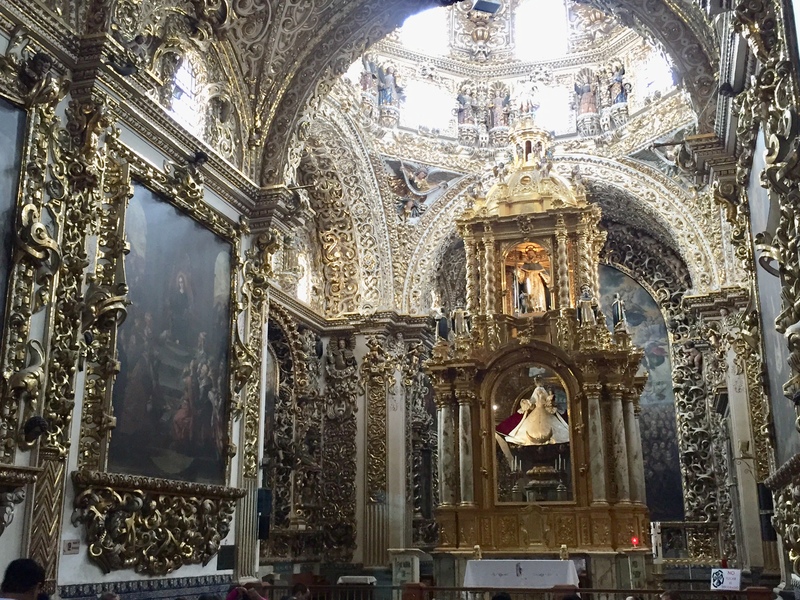 What’s more, each one is grand. 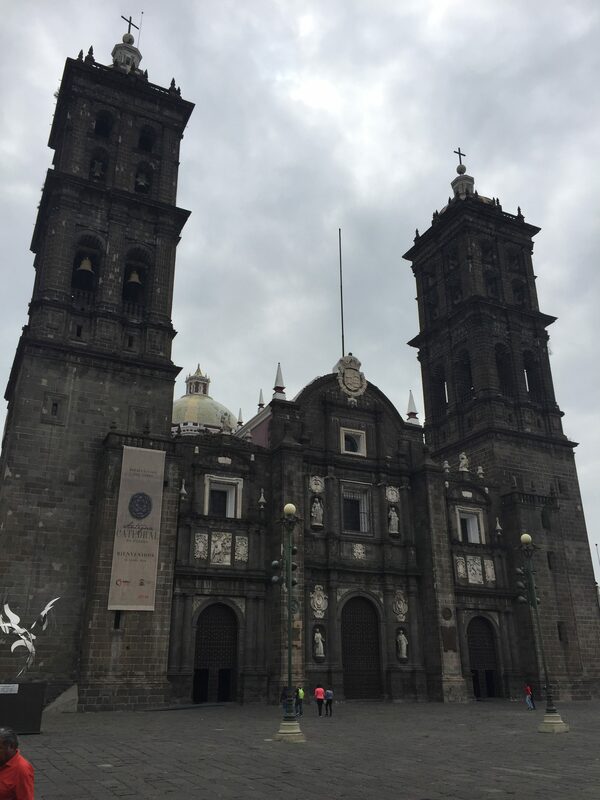 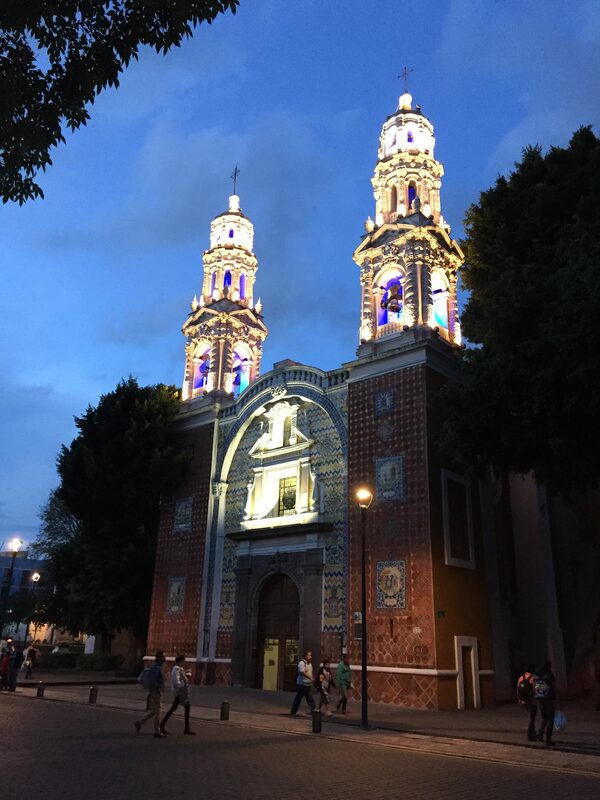 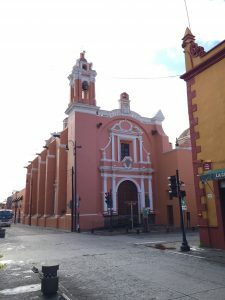 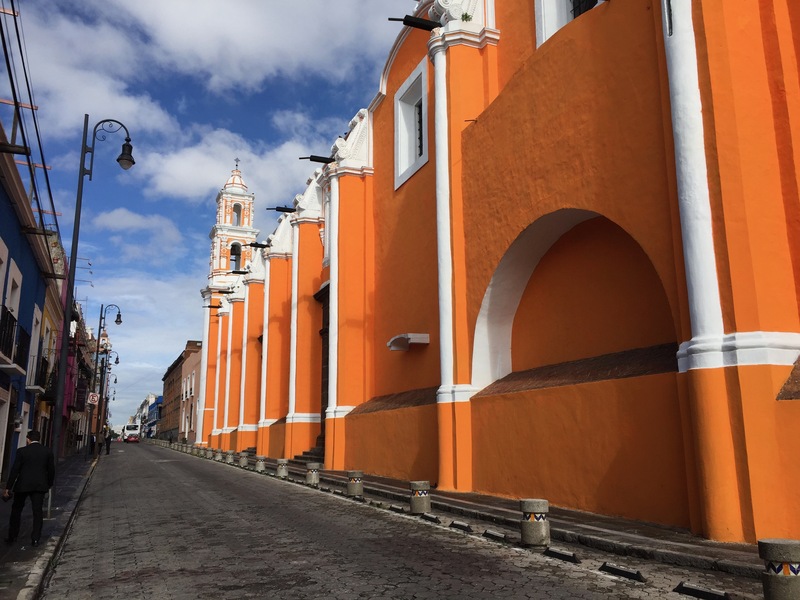 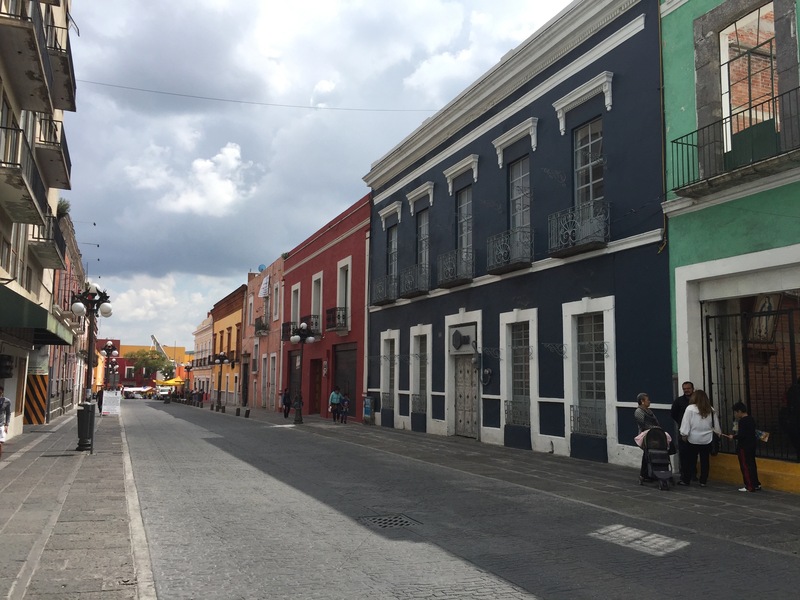 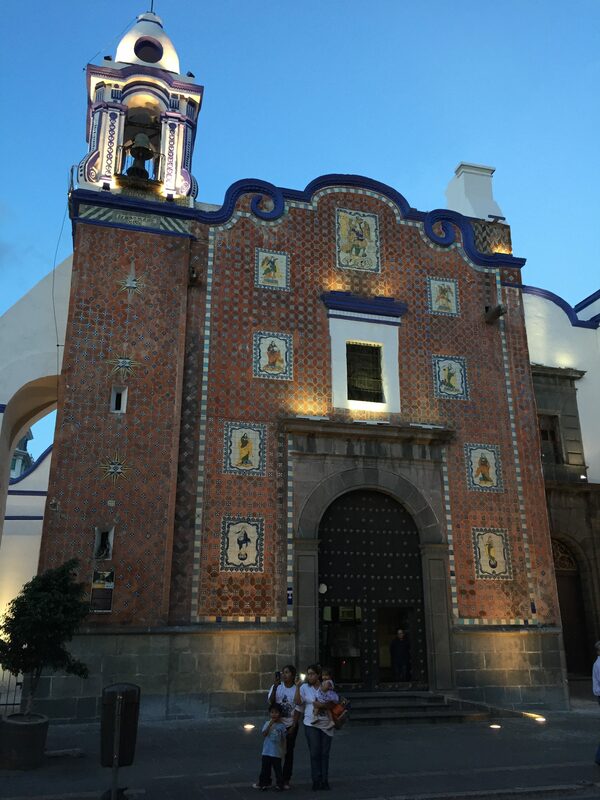 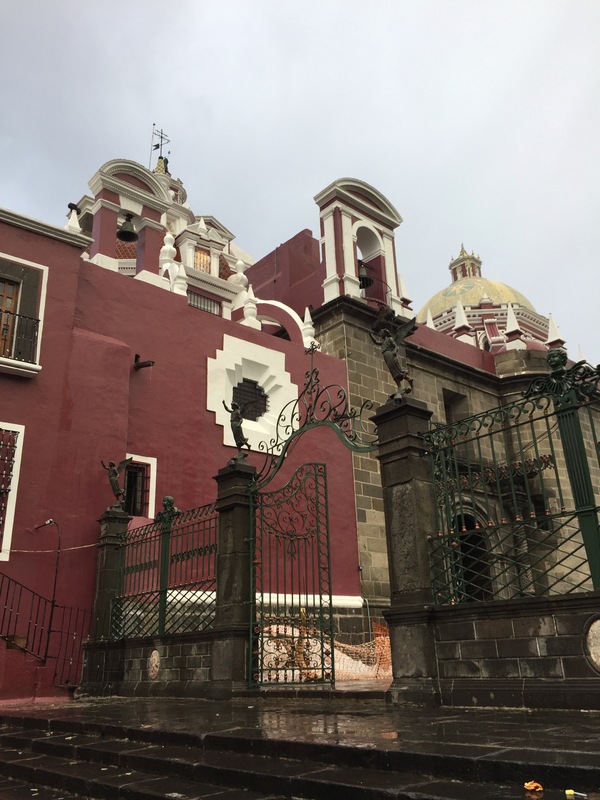 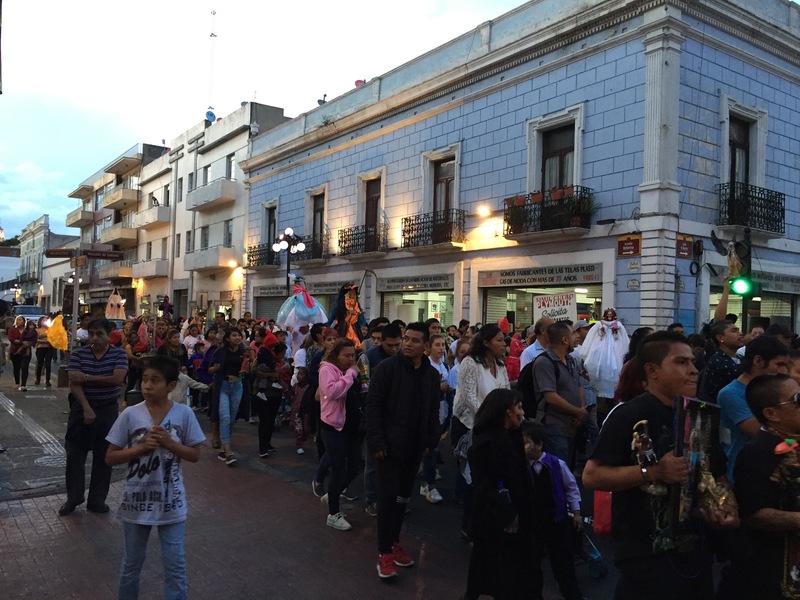 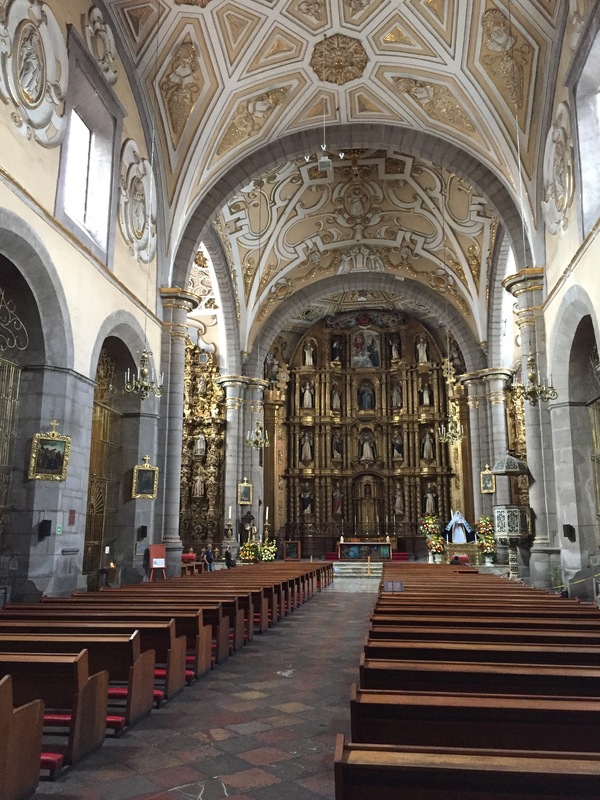 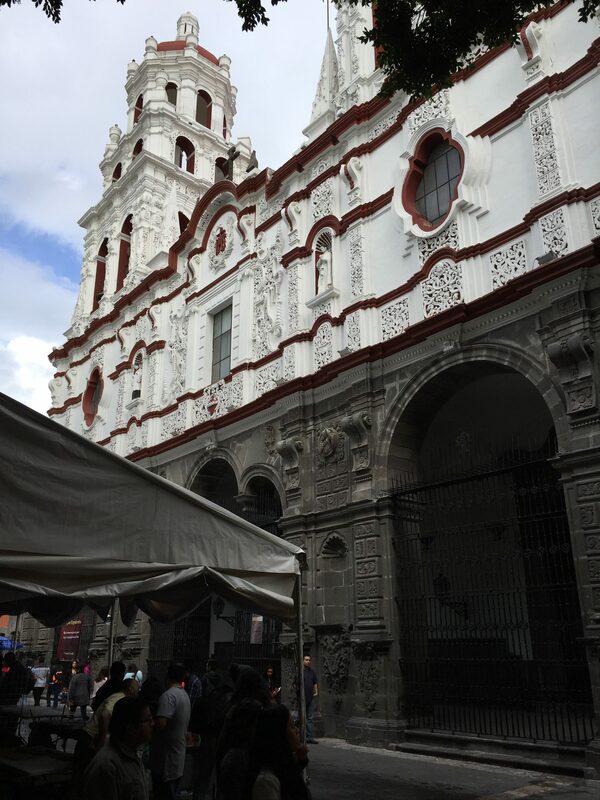 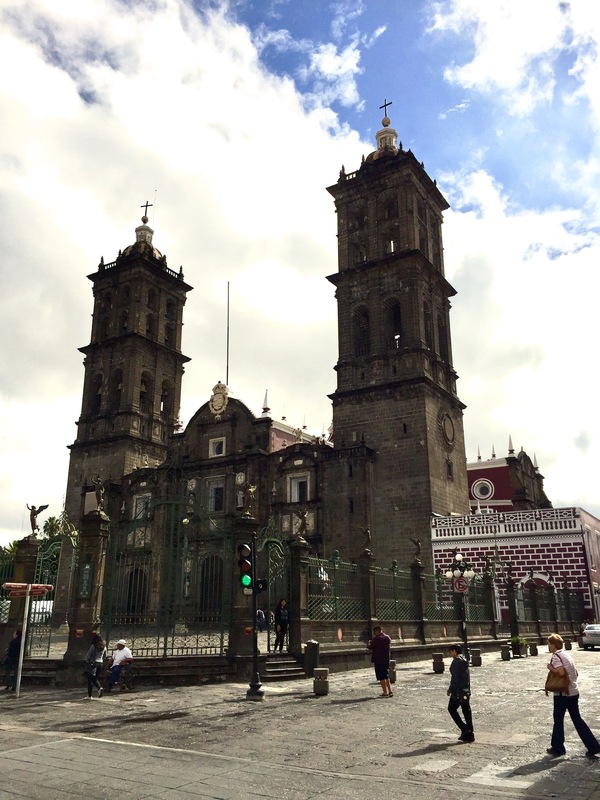 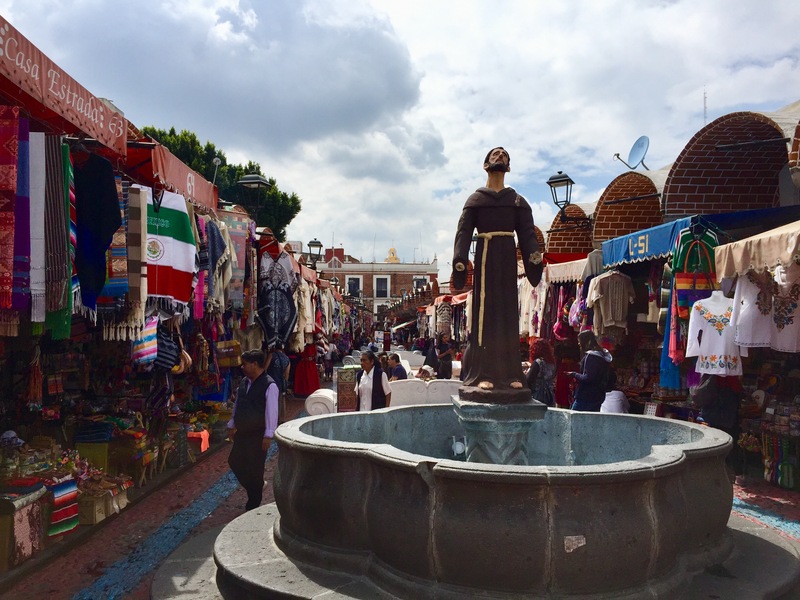 Something tells me that many of the priests of Puebla have to be top-notch: two sermons in a row that sucked, and anyone in the congregation could walk half-a-block the following Sunday to find a better orator. 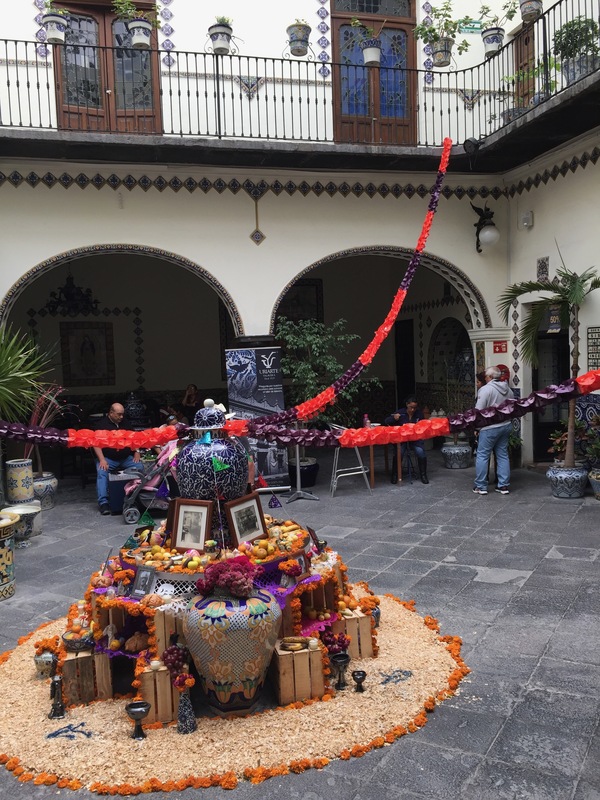 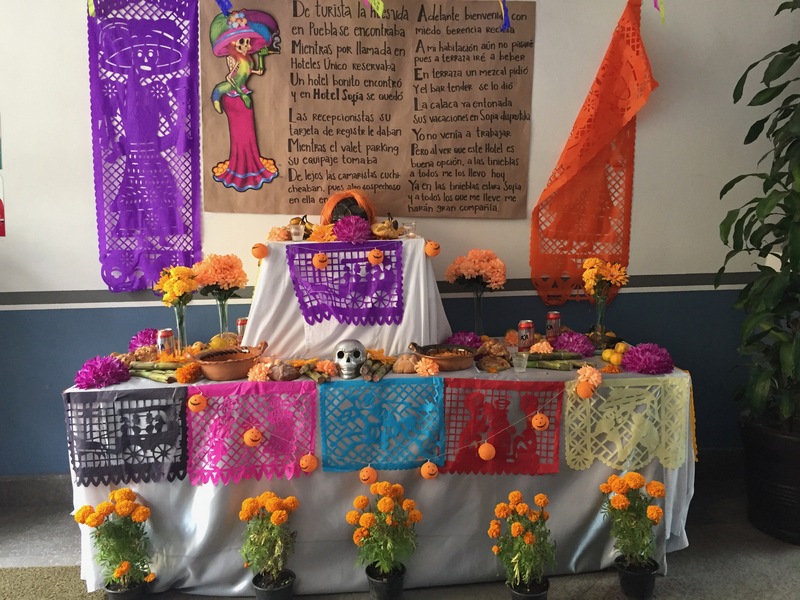 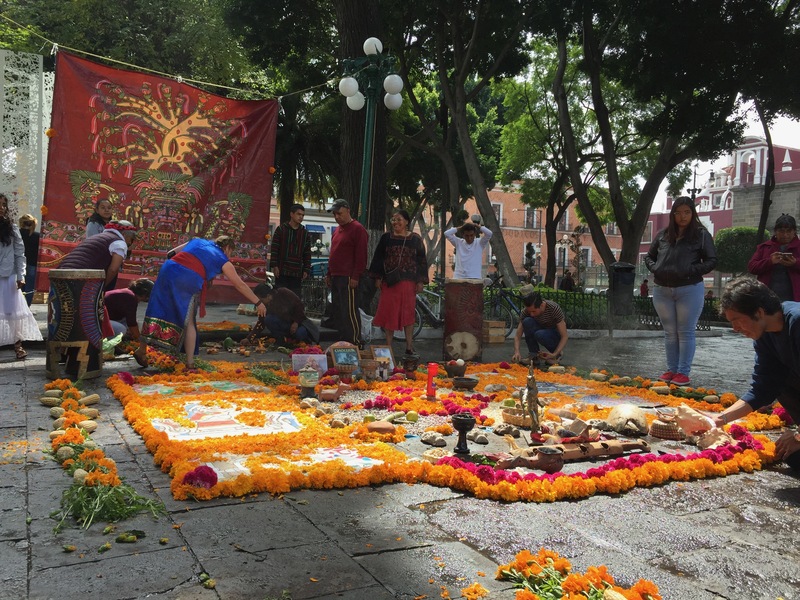 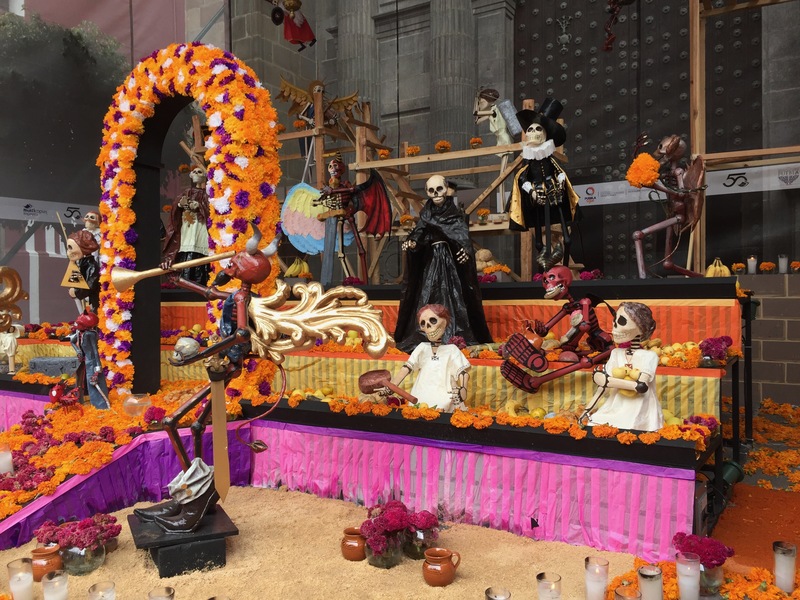 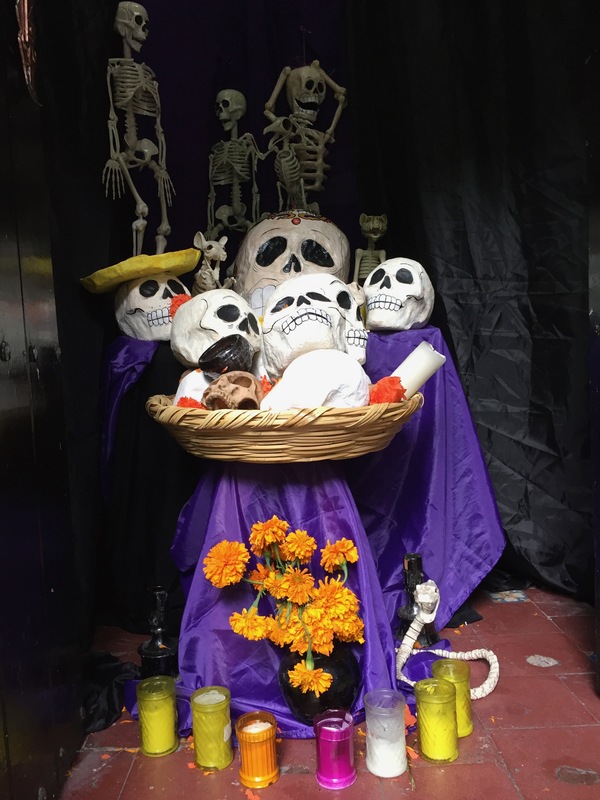 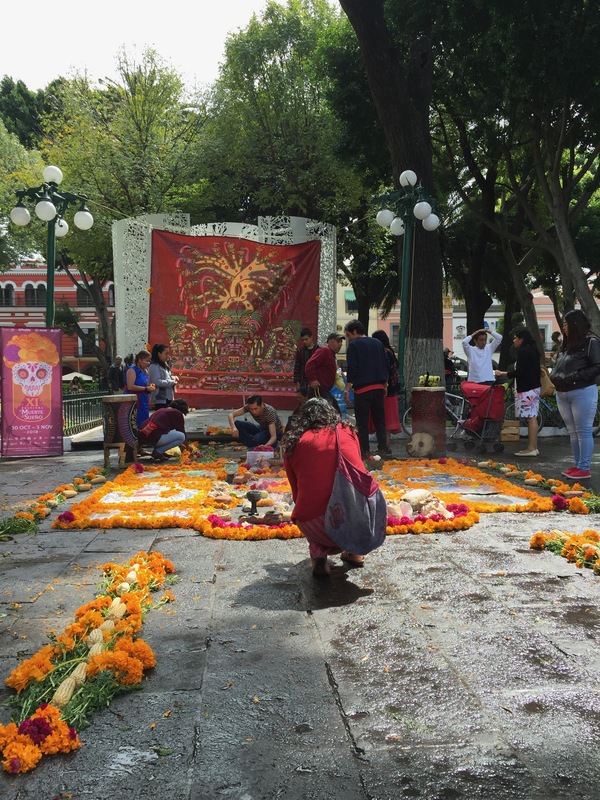 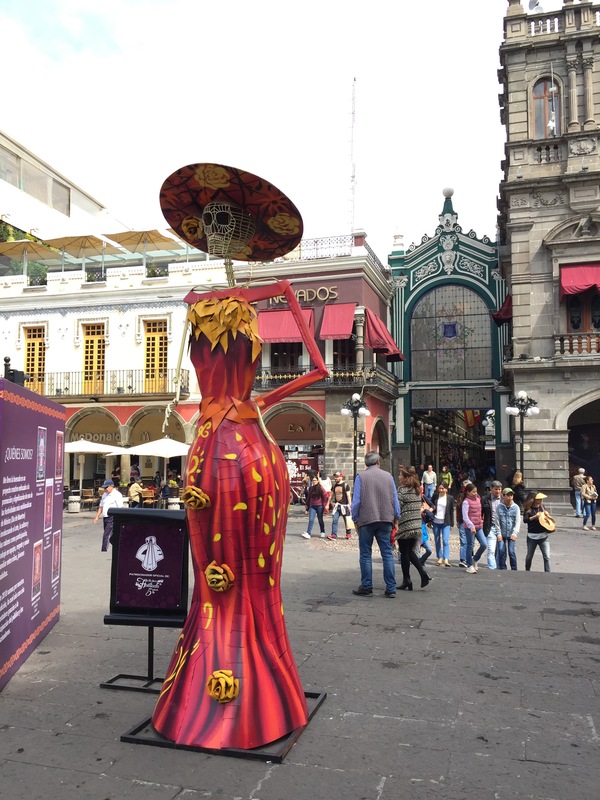 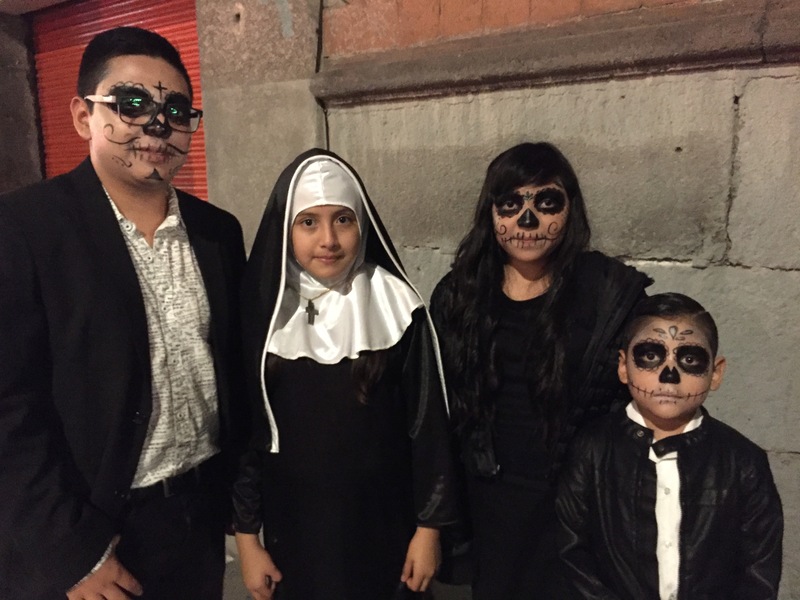 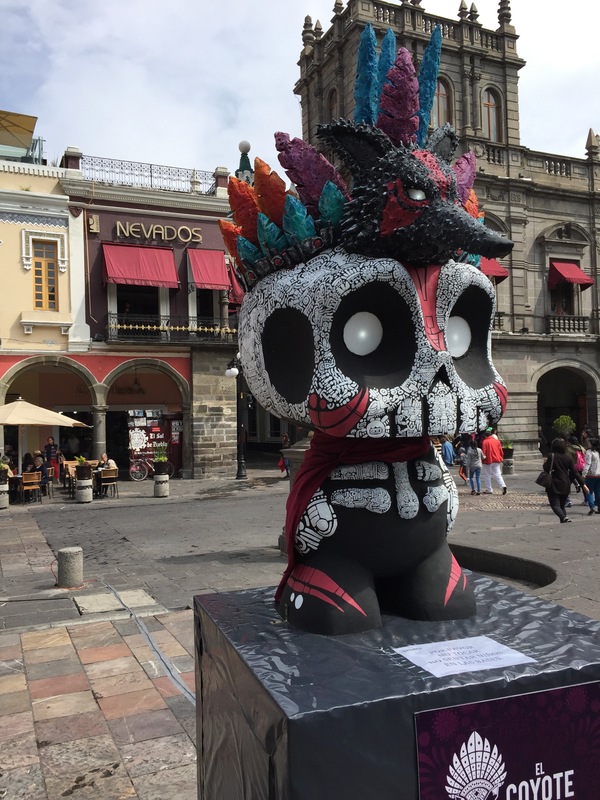 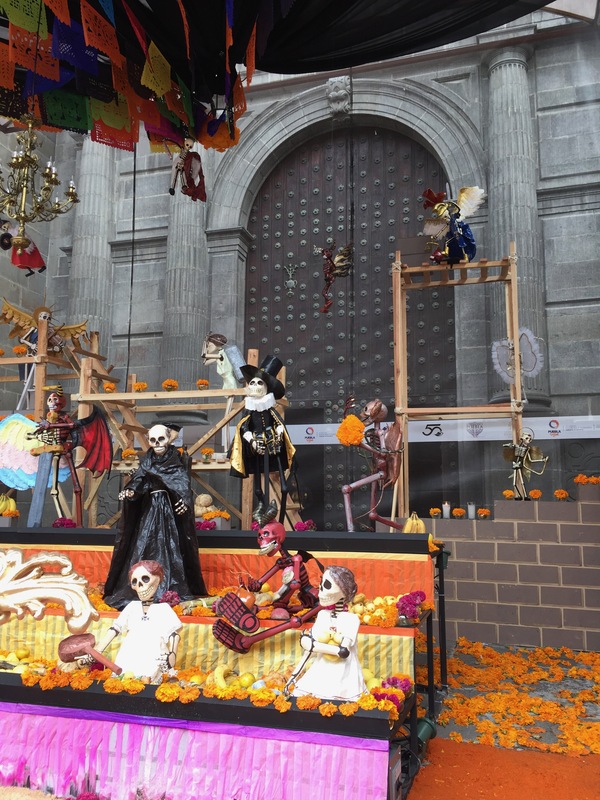 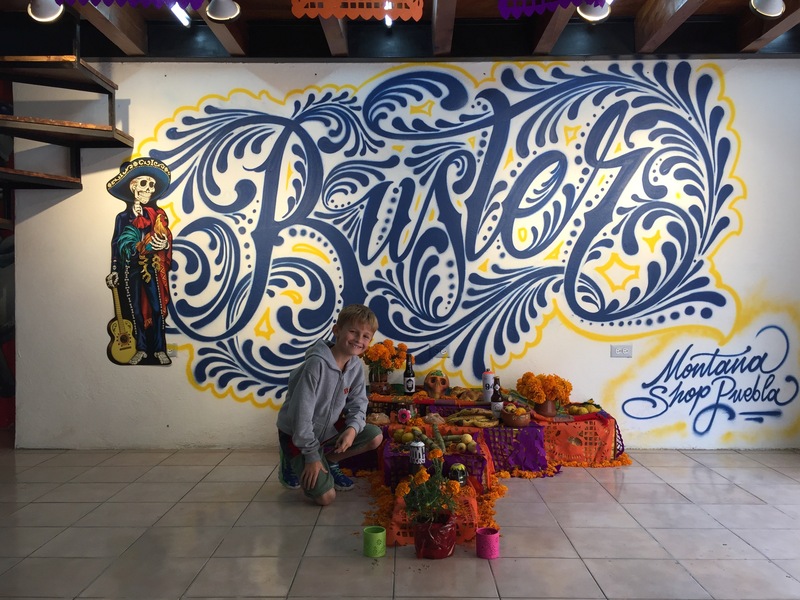 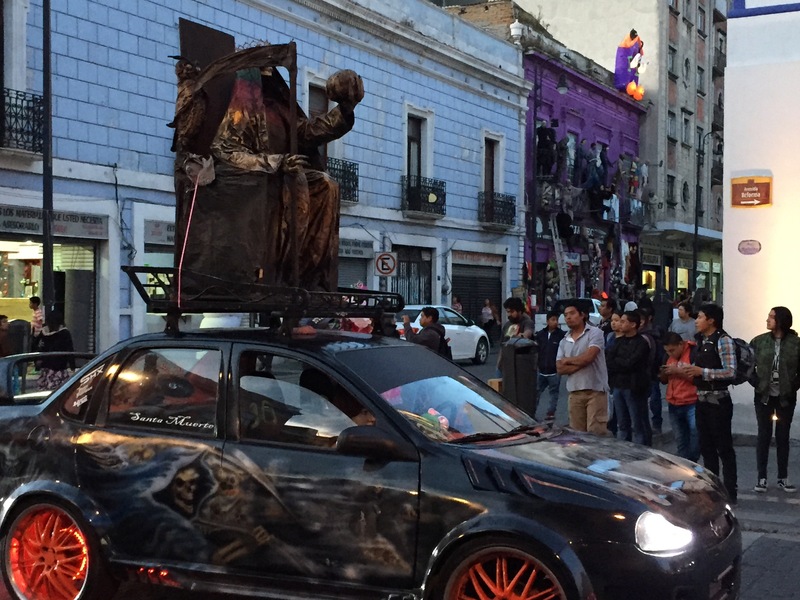 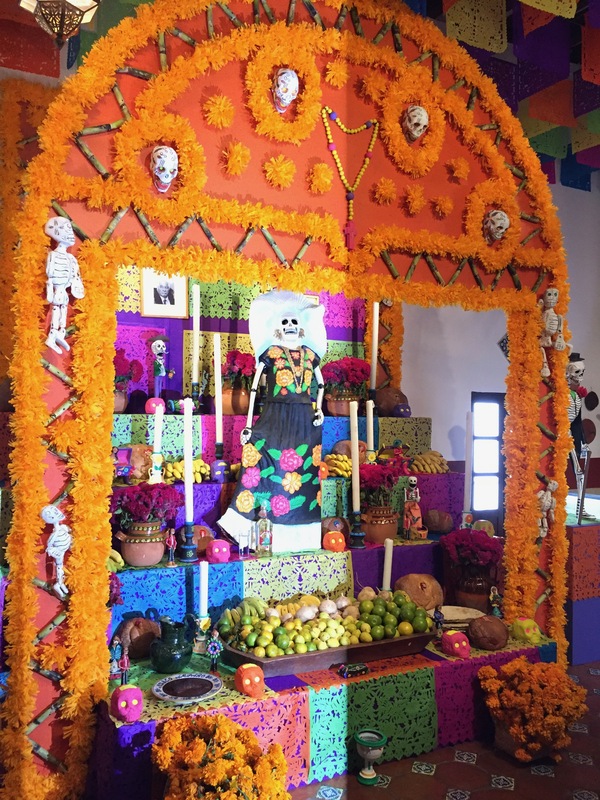 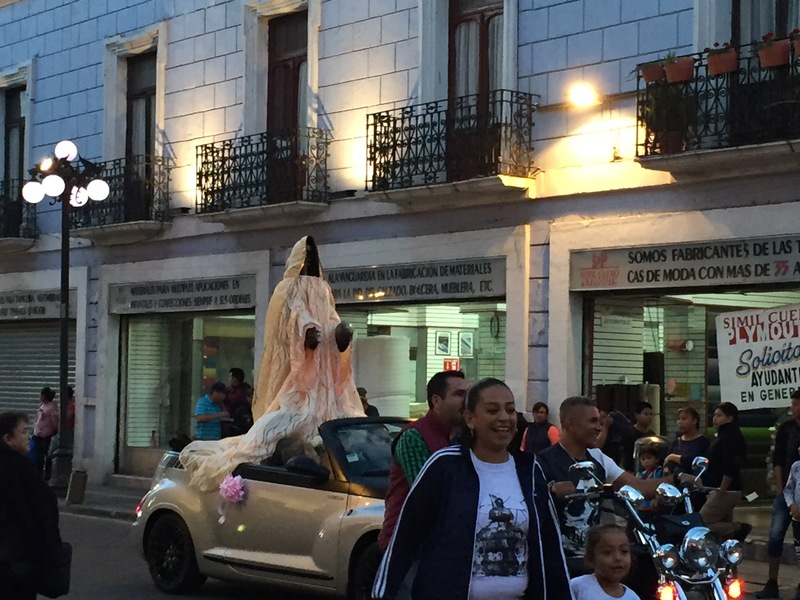 Our visit coincided with dia de los muertos weekend, so there were lots of celebrations throughout the weekend. 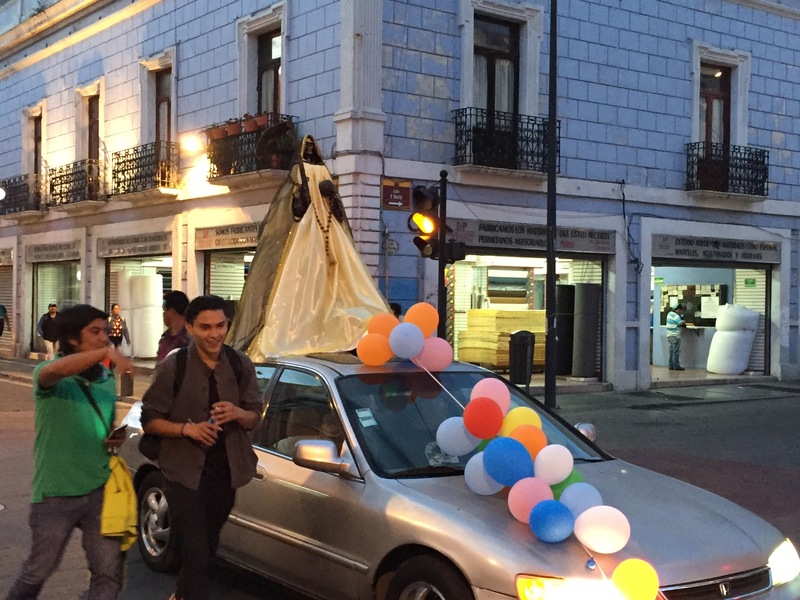 One couldn’t help notice how the celebration appears very religious in nature, but always outside of the church. 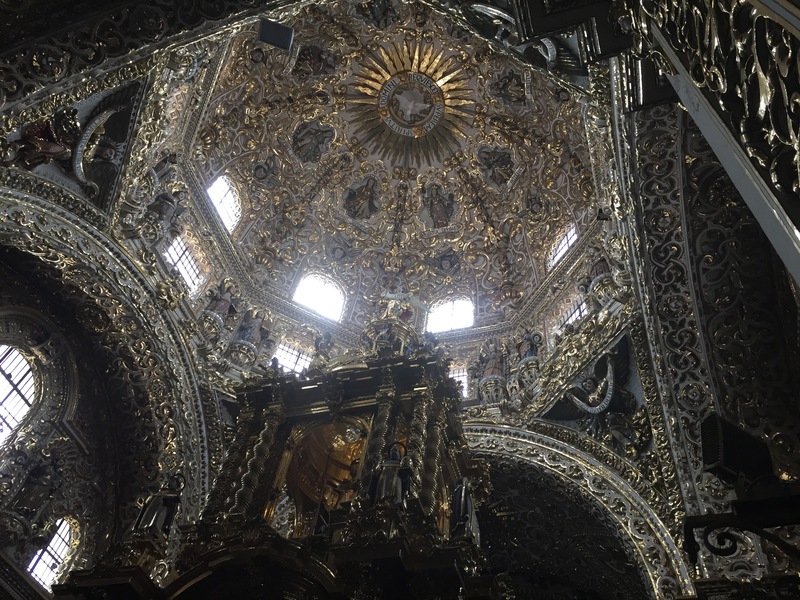 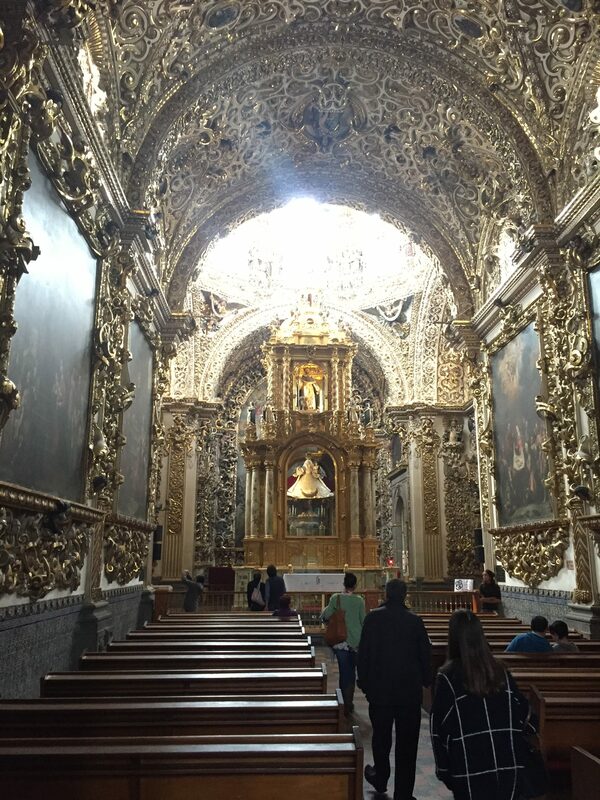 The cathedral had the best altar we saw, but it was out of sight, and out of the church. 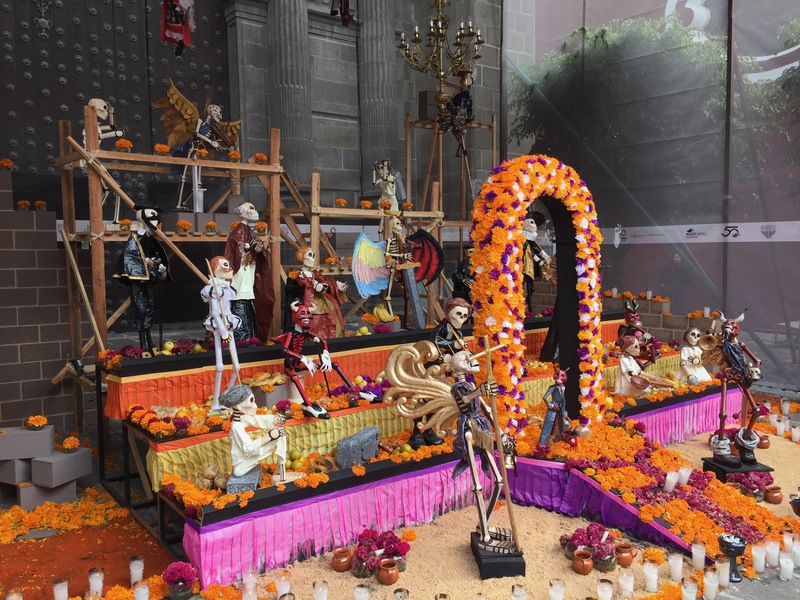 (Day of the Dead begins on Nov. 1 and ends on Nov. 2. 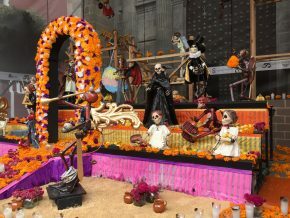 The 2nd is a holiday. 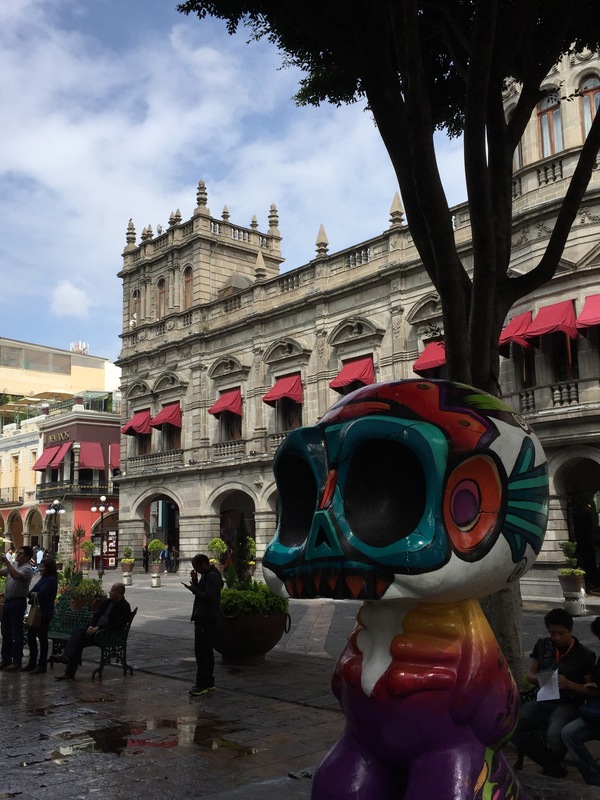 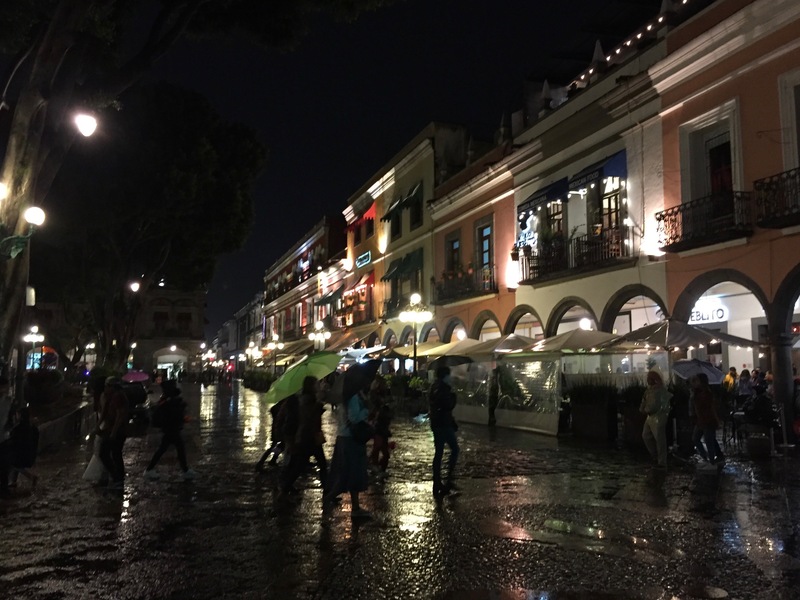 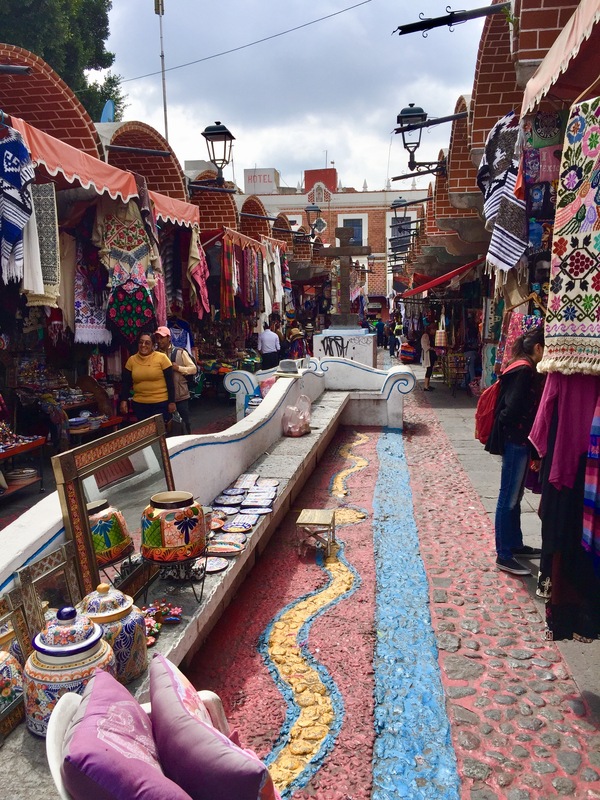 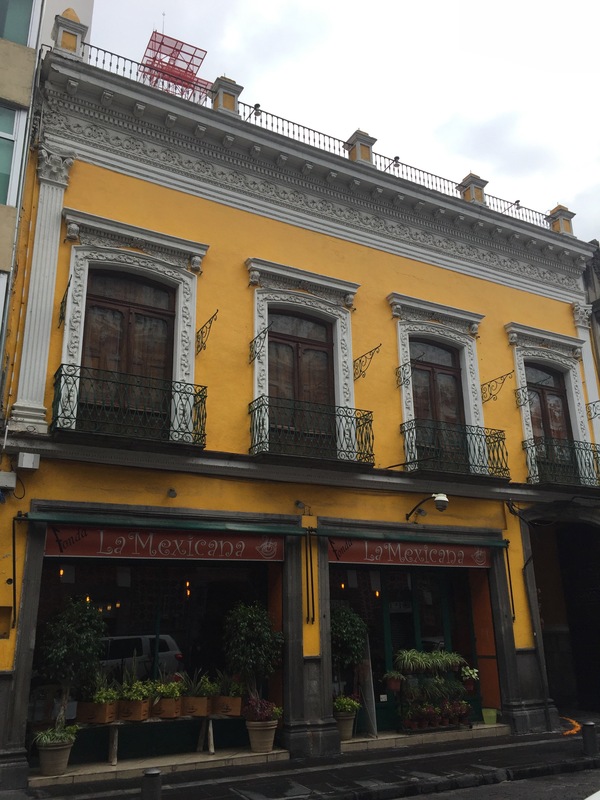 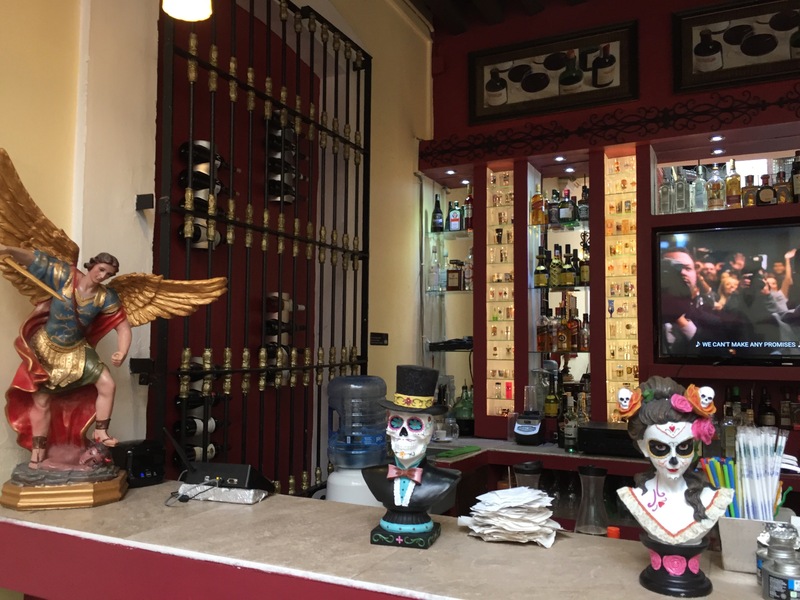 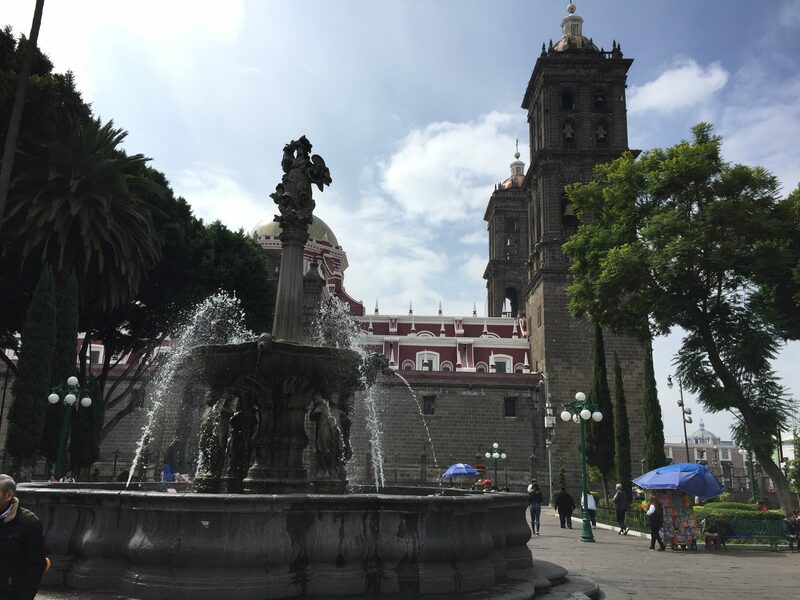 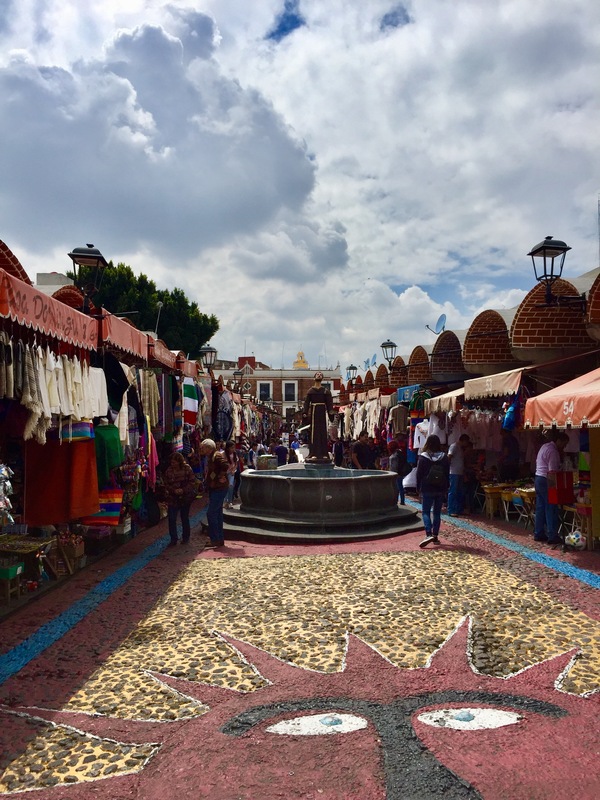 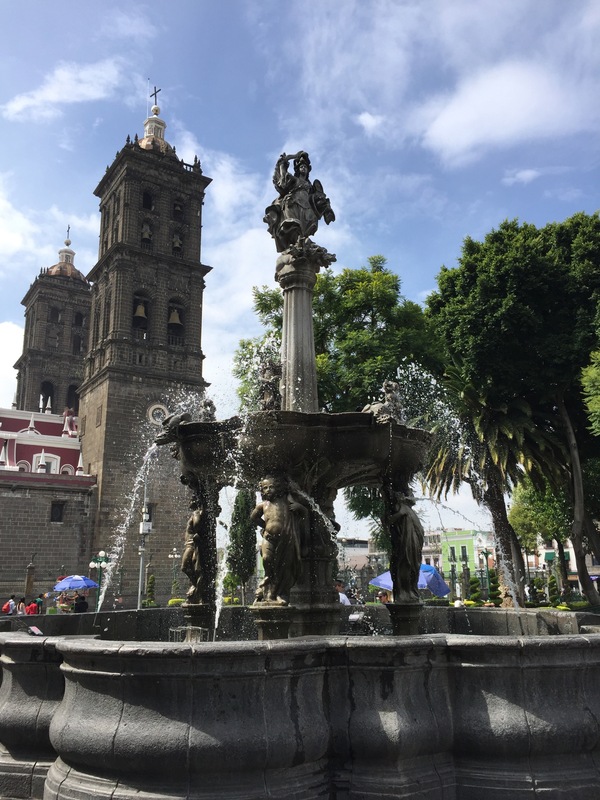 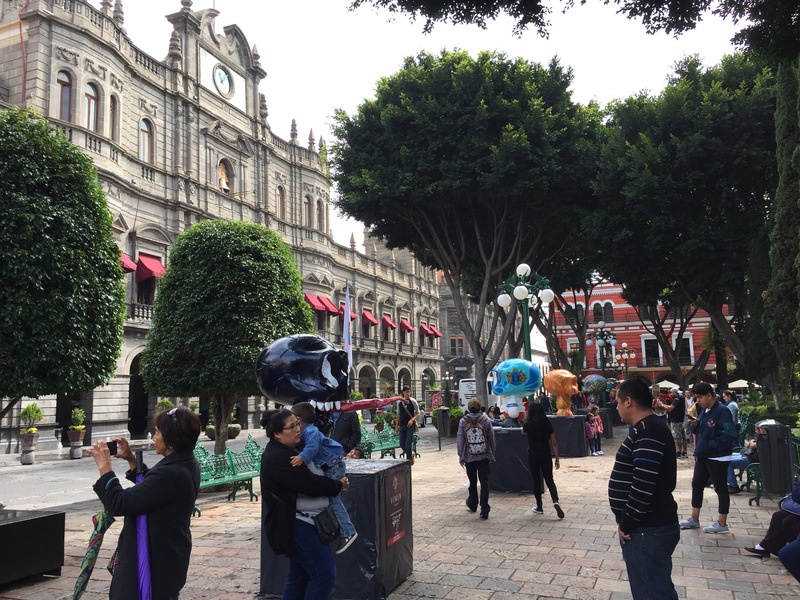 We, however, were lucky enough to have the previous day off as well since the Mexico City decided to shut the water off for several days…figured it best to get out of town and take advantage of the extended break). 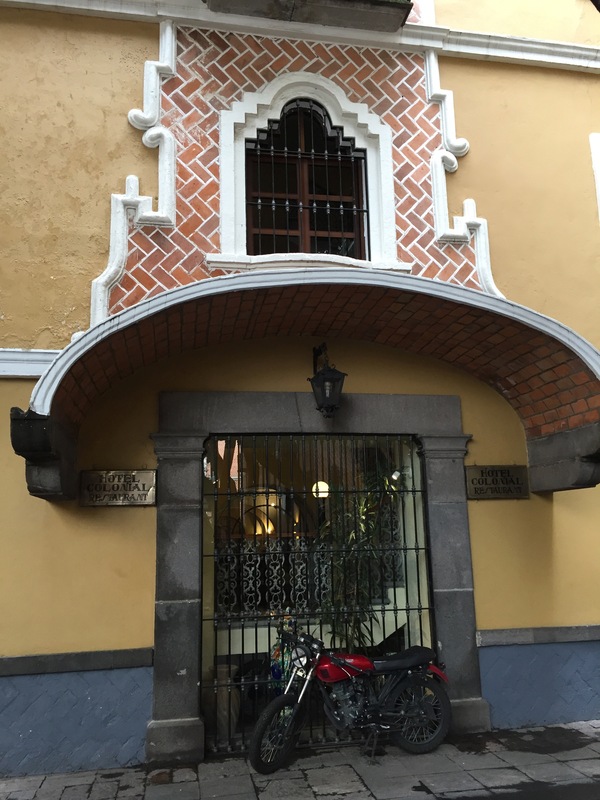 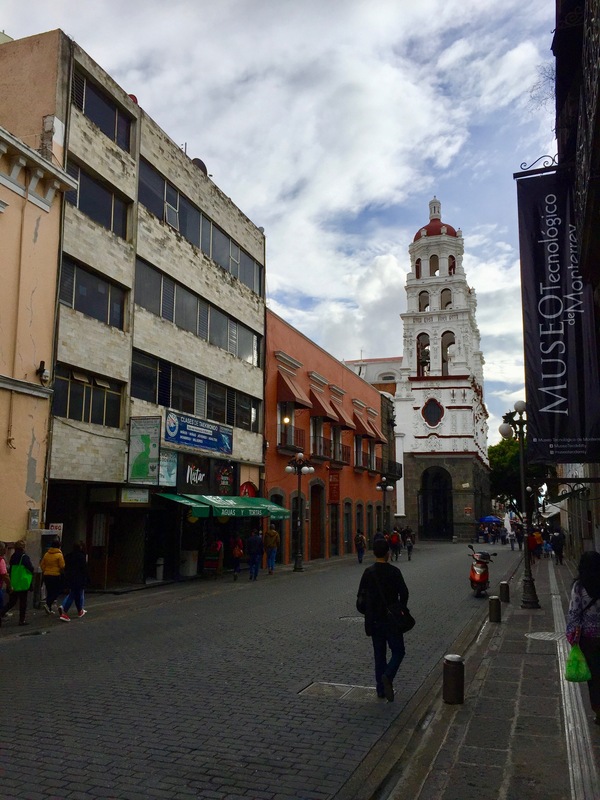 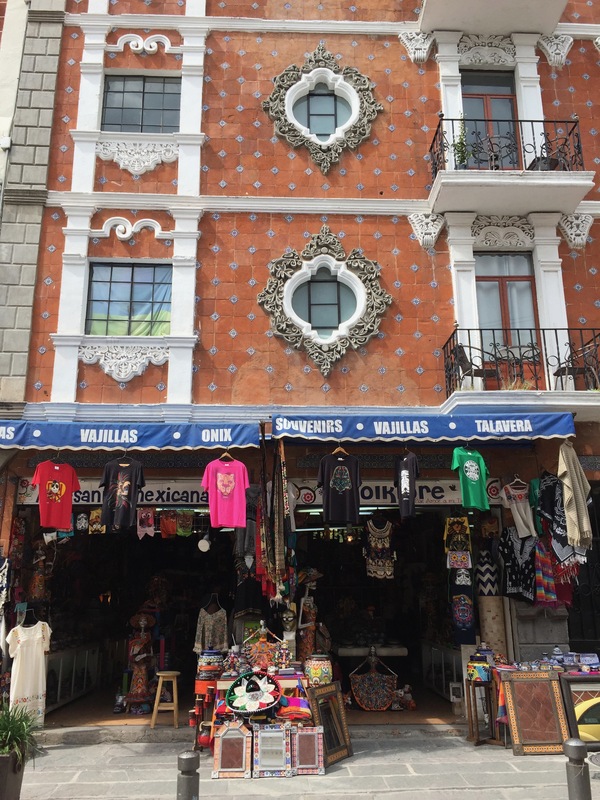 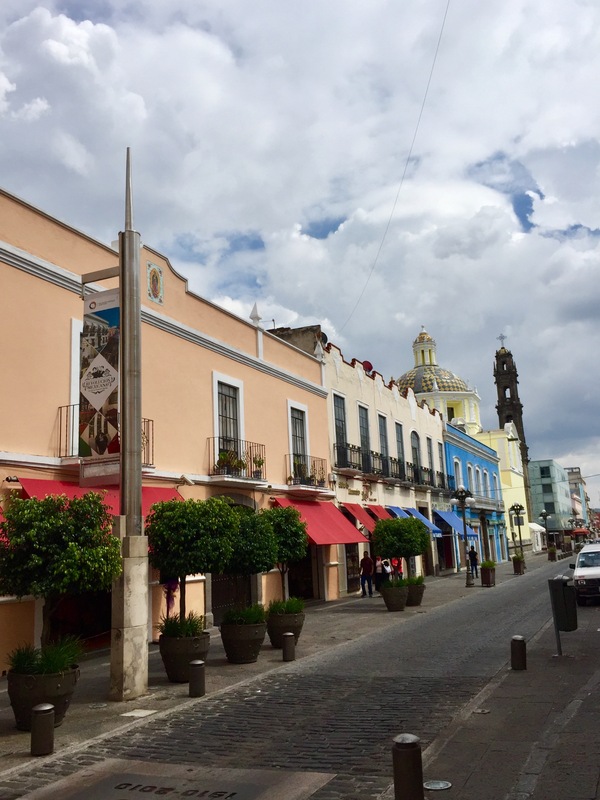 The streets of downtown Puebla are all very narrow (making for challenging angles when taking photos of the churches) and all cobblestone. 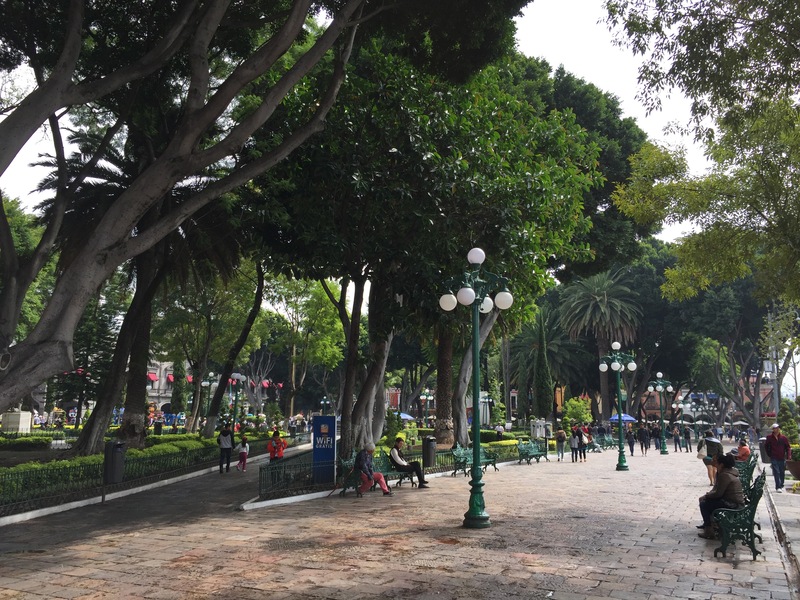 Not to be outdone by CDMX, they all have protected bike lanes. 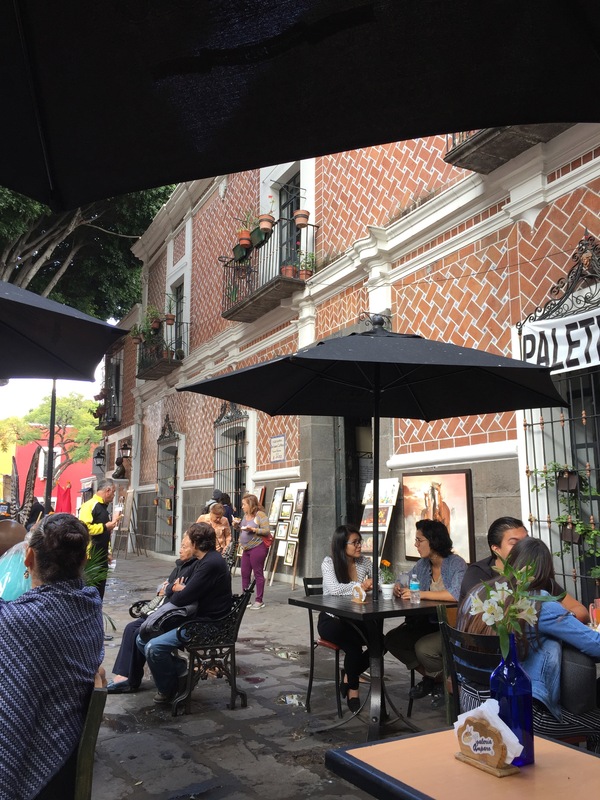 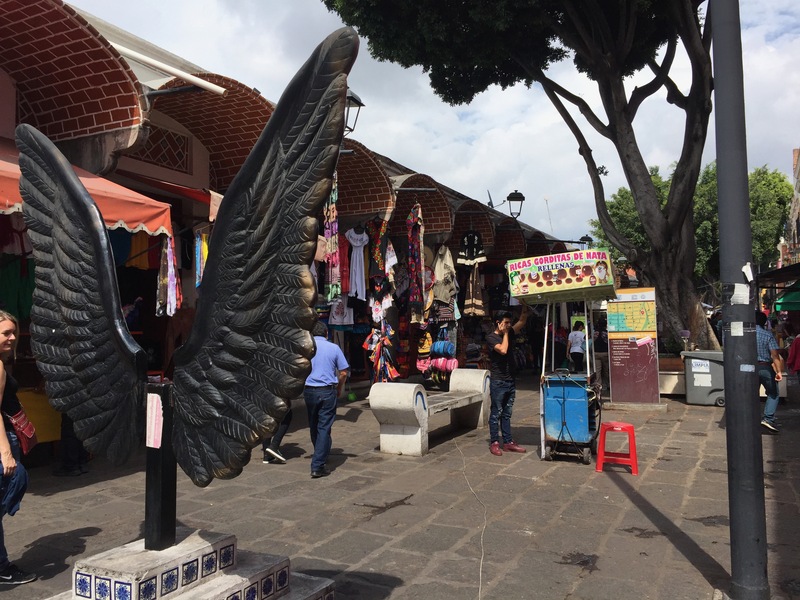 Finally, the city had a neat artisan feel to it: lots of bookstores and an artisans market. 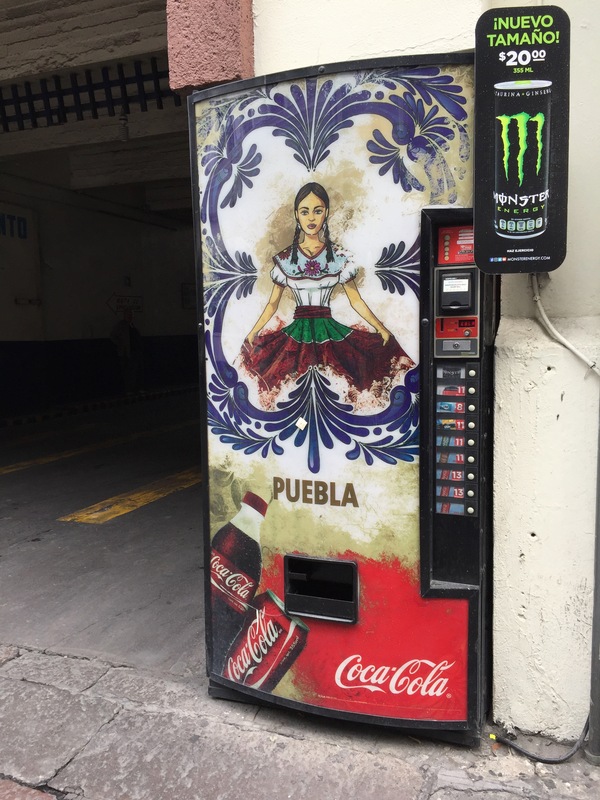 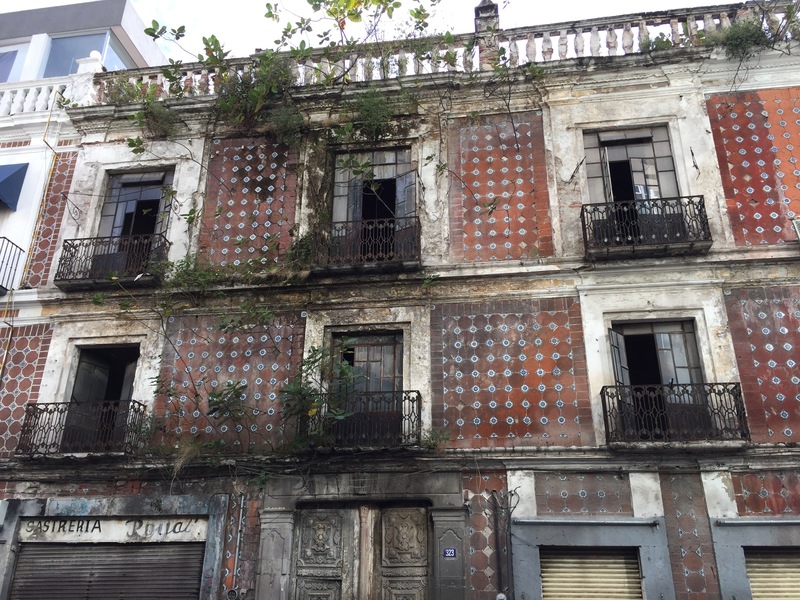 Keeping with my impression of the cities so far, it’s a culture that values culture.